The overall look is not bad although I feel it is missing a little bit of something to be final. 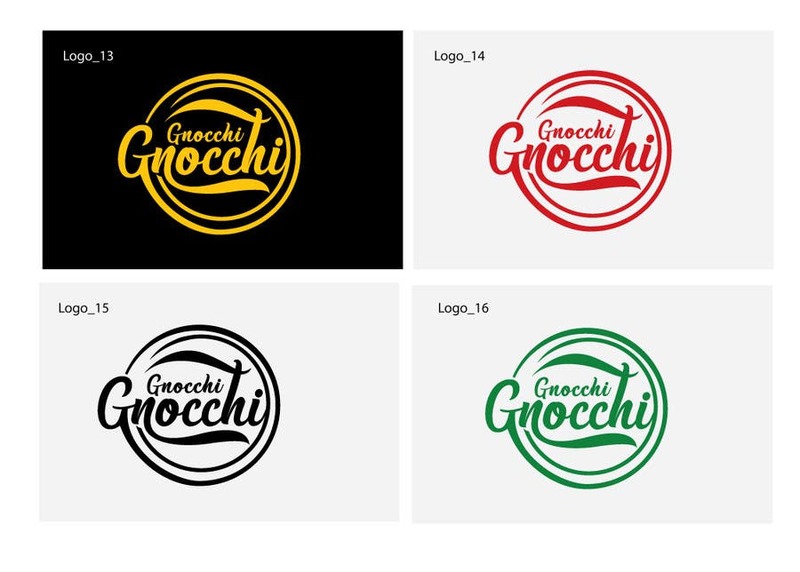 I like the yellow and black the most but I feel we should try to make it look a bit more italian by combining the red and green. The only thing that I don't like is that it reminds me too much of the Coca Cola sign when I see it. I still think it has potential compared to lots of other ones. Perhaps try to to incorporate an illustration of a gnocchi somehow but it has to be kept abstract and cohesive with your feel & look. The contest has been extended to provide more time.